Do you love being scared? Are you so sick and twisted that SIX haunted attractions in one place, including a Monster Midway with games, food, and beer, sound like an amazing time? You’re in luck! Wait until you see what SCREAM-A-GEDDON is bringing to Tampa Bay! 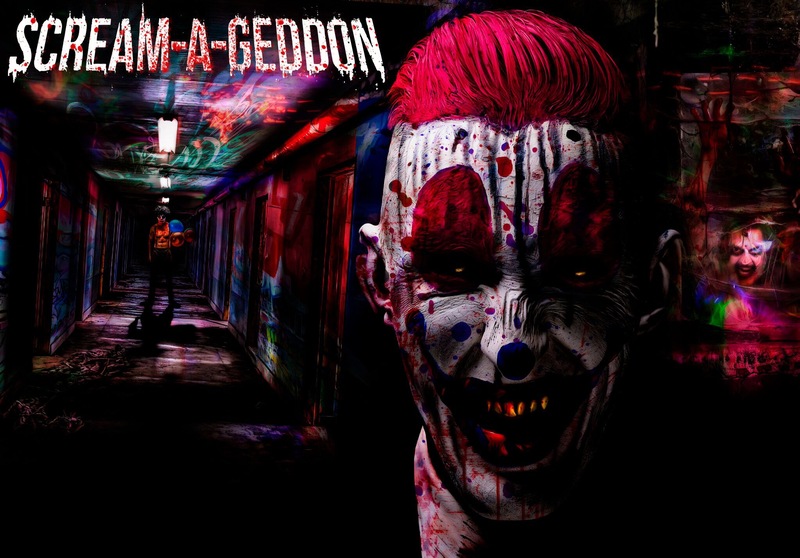 Opening in Dade City September 25th and running until November 1st, SCREAM-A-GEDDON is bringing Hollywood effects and horrifying, intimate experiences unlike any you’ll find at the more corporate haunted houses. You’ll have the chance to experience the 3D Clownhouse, Bedlam. You’ll ride through the Cursed Hayride, where the immortal town residents will try and steal your soul. You’ll try to avoid the Tate Brothers, who have been isolated for decades in the Dead Woods. You’ll have the choice of watching the mutants at Omni-Labs Clinical Research Lab in Pandemic or interacting with them. You’ll run from the Infected in the farmer’s field, trying to avoid whatever the meteor brought with it. And you’ll get to enjoy monsters, food, beer, tarot card readings, and so much more in the Monster Midway. To win four tickets, valid all open nights except October 9th, 10th, 16th, 17th, 23rd, and 24th, all you have to do is comment below, telling me why you want to go somewhere so scary! I’ll pick one winner on Wednesday, September 23rd. The tickets will be mailed out after the winner is notified and they provide their mailing address. The tickets must be redeemed at the box office. SCREAM-A-GEDDON is located at 27839 St Joe Road, Dade City, FL 33525. It opens at 7:30 PM and closes at different times. You can find the schedule here. Tickets are courtesy of SCREAM-A-GEDDON. Looks like fun! My husbands birthday is 2 days before Halloween, so he always requests something scary- Howl-o-Scream, Halloween Horror Nights, etc. I think this would be a nice change of pace! I want to go because my wife and I go every year to haunted houses all over Florida, looking for the best. This year sounds crazy at SCREAM-A-GEDDON and I bet it will be the best we’ve ever been to!! I want to go because it’s about time that another quality horror attraction comes to the Tampa Bay Area. Universal and Busch Gardens have had a monopoly for far too long! I would end up making a whole night out of it with my wife and our friends. PLEEEEASE? !